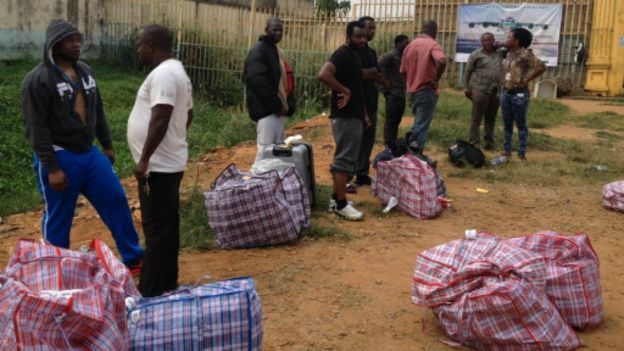 The South African Government has deported 97 Nigerians for committing various offences in the country. The deportees landed at the Murtala Muhammed International Airport, Lagos, on Monday night in a chartered aircraft with the registration number GBB710 from Johannesburg. .
0 Response to "South Africa Deports 97 Nigerians"